Last Friday night, November 14, Live! at The Cellar was truly alive and jumping. Singer-songwriter Kristen Ward, accompanied on guitar by musician Gary Westlake, played and sang their rock-country-soul hearts out to a crowd of true music appreciators and animated minglers alike. Lucky seven in the lineup of Live! at The Cellar performers, Kristen Ward’s deep, sonorous voice and thought-provoking lyrics entranced those seated on the floor, chairs and benches near the duo at the front of the room. The cadence and lyricism of Kristen’s music pulled in the audience who had come to hear a truly up and coming artist sing with her heart on her sleeve. Gary Westlake, assistant to the manager of Pearl Jam for the last 25 years, brought his own amazing guitar work and rock and roll sensibility to the performance, strongly complementing Kristen’s youth and femininity with his own rock-veteran solidity. Kristen’s prime cheerleader, Gary was the individual who introduced Kristen to her now-mentor, Mike McCready of Pearl Jam. After hearing Kristen’s music playing in Gary’s London hotel room one night, Mike asked the proverbial “Who is that?” A short few weeks later, Mike had laid down a track on Kristen’s second CD, and their mentor relationship was off and running. For SageCliffe, the opportunity to host Kristen Ward and Gary Westlake at The Cellar completed a wonderful kind of circle, as Gary had stayed at Cave B Inn several times in the past with Pearl Jam, when the band played at the neighboring Gorge Amphitheater. This time in a different role, as guitar-player, Gary had returned once again to Cave B. The Cellar is our new, emerging venue, and Kristen Ward and Gary Westlake are on their own emerging musical path….it seemed fitting that the two came together last Friday; perhaps the full-circle nature of the event is what brought out the full-house crowd that listened, talked, ate, drank, made new friends and went home humming Kristen’s songs-from-the-soul. Live! at The Cellar has hit its stride; we look forward to many more full-circle moments, and full-house crowds. See you in February! Were you at The Cellar for Kristen and Gary’s performance? Tell us what you thought by leaving a comment! To see more Kristen Ward/Gary Westlake performances, visit Kristen’s site: http://www.kristenward.com. This hearty pasta sauce can be served over any pasta you desire, but I recommend a wide noodle such as pappardelle or fettucini. I have included a pasta dough recipe that can be rolled using a rolling pin and cut into long thick strips. Experimenting with folding herbs and flavorings into the dough is a fun way to spend an afternoon, also. This Sauce can also double as a lasagna sauce. Cave B Barbera and sauce lend themselves to full-flavored sheep milk and semi soft cheeses. 2 28 oz. can crushed or diced tomatoes. 1 c. warm water Make a well with the flourAdd salt and eggs to the well and mix together slowly, adding water as necessary. Knead about 10 minutesCover and let dough rest for 10 minutes, then knead again until very smooth. If you have a Kitchenmaid mixer this can be made using the hook-type attachment. 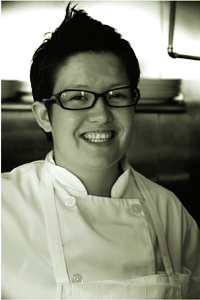 Ask Shauna: Introduce yourself and ask Shauna your culinary questions by leaving a comment! Will it be an Ice Wine or a Late Harvest Wine? All in all the harvest went quite well and I am pleased overall with the quality of the fruit. I am really excited for some of the varieties new to us, in particular Malbec and Viognier. Although the Viognier is still fermenting, the beautiful tropical fruit aromas and floral notes are quintessential Viognier. The Malbec has the deepest, most intense inky color of all the wines fermented so far this year. Beautiful. The flavors are already deep and rich, even in its extreme youth, having just completed the fermentation. 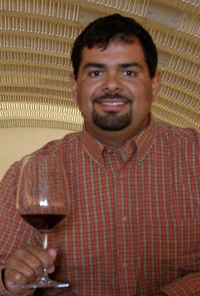 Ask Freddy: Introduce yourself and ask a wine-related question by posting a comment!